Facebook, in 2018, wants to move towards becoming a more user-dependent platform, rather becoming brand-reliant. It recently announced its plans of putting a revamped algorithm in place that will show more content from friends and family in the news feed of users than promotional media from brands. And now as the largest social media platform, it plans to seek respite from the pressing fake news problem with the help of user reviews or rankings. 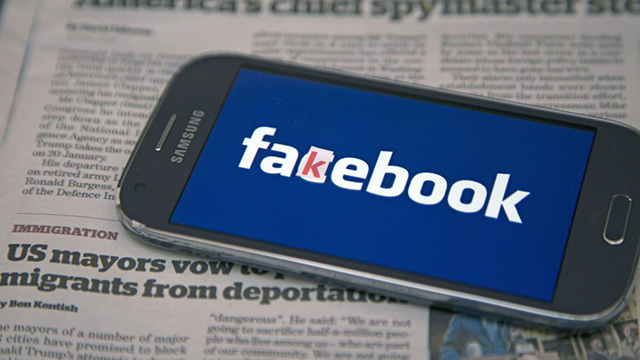 Facebook chief Mark Zuckerberg used a Facebook post to announce that the platform will now prioritize news in users’ feed based on its trustworthiness which will be determined by user surveys. This will help the platform to keep a check on news sources which share misleading and sensational information. The executive also shared his desire of mowing down one-fifth of news on Facebook, down from five percent of all the content to four. Zuckerberg voiced his concern over the amount of misinformation in the world today and how the speed of internet and social media enable such information to spread faster. In the post he wrote, “if we don’t specifically tackle these problems, then we end up amplifying them“. The crackdown will impact links posted by both – media outlets as well as users. This is a step ahead of the earlier provision which allows users to flag stories they think are fake which are later reviewed by human moderators. Now, Facebook plans to reduce human intervention and the credibility of news sources will be judged by these surveys. Facebook‘s fake news problem has spread too far, especially over the past two years. There seems to be no relaxation from the Russian ads which took the American voters for a ride, numerous posts about dying celebrity, or those about celestial bodies knocking the Earth out of its place. Check out the top fake news stories from last year, which contain some bizarre stories that managed to get the most engagement.